New High Schools are always coming online and are usually announced shortly before the New HS Fair in Jan. but news of Millennium II has leaked so Lisa Gioe made an announcement to her parents at MS 447 Math and Science District 15 last night. 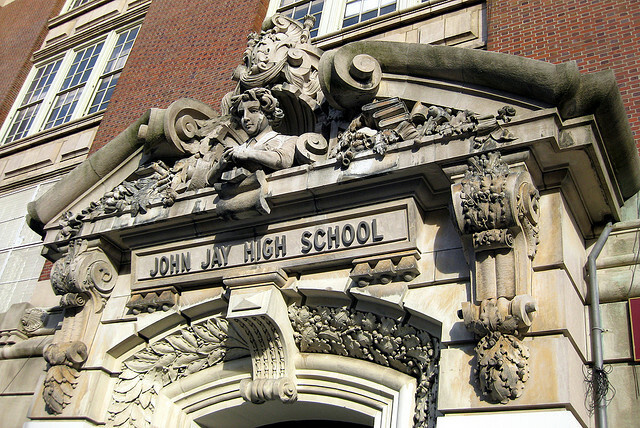 Millennium 2 will be opening in the John Jay HS complex on 7th Ave. and 4th St. in Park Slope in Sept. 2011 with Lisa Gioe as principal. It will be a replication of the popular Millennium HS with the addition of an ASD NEST program like the one that has been instituted at 447. I believe that this may be the first program of its kind in a HS. It will also be an "advanced Exploratory Program supporting internships". It will not be a choice on the Main Round application. If you would like to add the school to your list of HS you can do it during the short period after the New HS Fair in Jan. when you are allowed to resubmit the application and add new programs that will be starting in fall. Currently MS 447 has two very experienced Assistant Principals, Sharon Mahabir, who has been with the school since its founding and Dawn Faraj who had also been the Math Coach and a long time asset to the school. One of them will likely be tapped for the 447 principal's job. It will be interesting to see if the Millennium brand will draw more local families to the John Jay building. I am also concerned for the lovely and focused students from Research that I heard speak recently in support of their school. A co-location is always a rocky process, but it doesn't necessarily have to be one that harms the existing schools. I hope that all the programs will grow in strength with the attention that will be directed to the building.